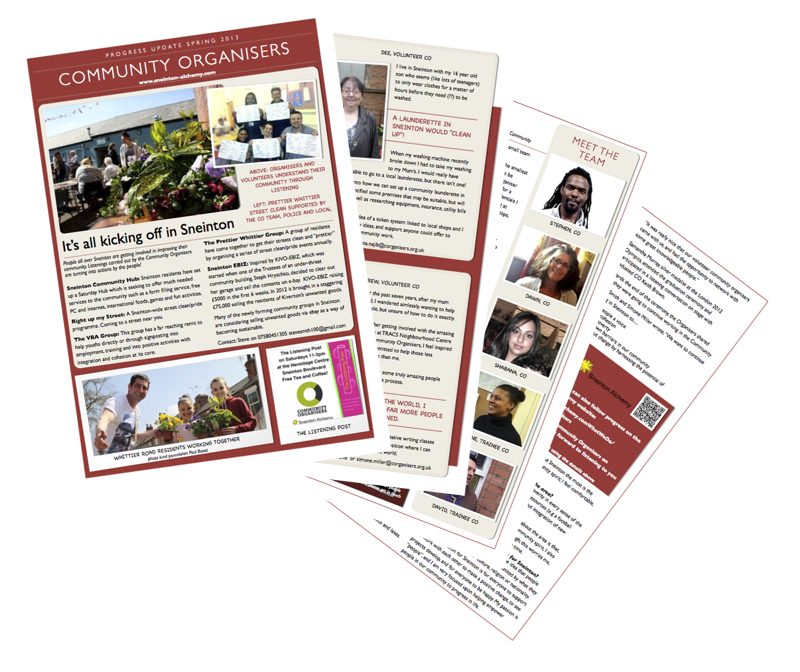 Spring newsletter: It's all 'kicking off' in Sneinton! You might well have heard that it's 'kicking off' in Sneinton before, but this is a little bit different..! All the hard work of the last year is really starting to pay off in Sneinton, with resident-led projects budding and blossoming into life all over the area. Our second newsletter features projects like Prettier Whittier street clean, The Listening Hub, Visualise Believe Achieve (VBA) - all of these started life with listenings carried out by the CO team, and are now underway. Budding ideas needing support include a community laundrette, a community ebay business and a project to reach people living in temporary accommodation. Look out for the newsletter through your letter box, in your local community centre or business or download a copy now (1Mb download, Acrobat Reader to view). We hope you enjoy the read and feel inspired to get involved or find out more.